When liquefied and injected into a mold, metal creates Mobile Type Oil Transformer Regeneration Plant that gets trapped inside the molded form as the metal solidifies. 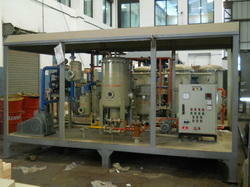 Oil Transformer Regeneration Plant create air pockets, folds, and inclusions. Depending on their size and their random placement within the casting, these deformities can cause metal parts to leak when placed under pressure. We are specialist in offering transformer, oil filtration to meet diverse requirements of the clients in different industrial verticals. 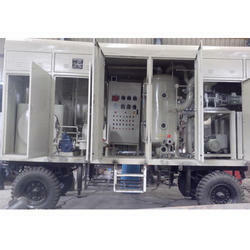 Get variety of New / Used / Refurbished Transformer Oil Filtration from our Online Inventory Network. Find all makes & ratings of Transformer Oil Filtration. Inventory Liquidation discount available for non moving products, Subject to availability.